I have a sort of love/hate relationship with Mr. Donaldson. I read the first Thomas Covenant books, and they grew on me; I still have to investigate the follow-up, but given my current TBR pile is such I’ll be reading twenty years after I’m dead, that may take a while. Then he did an SF series, that totally turned me off for reasons I won’t go into. However, I decided I’d renew our “acquaintance” when I had the chance to obtain an advance copy of the first book in his new series from the publisher, and I fear I’m going to be adding more to that TBR pile, willy-nilly. To compress the story into a nugget that doesn’t begin to do it justice, The Seventh Decimate is essentially a quest novel. Anyone familiar with Mr. Donaldson’s work will hear the unspoken “with multiple nuances.” Prince Bifalt is a man reared to be a warrior, the eldest son of the ruler of Belleger, which has been at war with its neighbor Amika so long no one really remembers what started it. There are stories, of course, and Bifalt has his preference as to which is most likely true, but that’s not the same as really knowing why your country is being destroyed. The most devastating weapon in this endless war has been magic. Theurgists able to control lightning and earth and pestilence from afar cut down soldiers in horrific ways, and Bifalt hates them even while he uses them. However, Belleger develops another powerful weapon: rifles. If they can be used to kill Amika’s mages, they may be what’s needed to finally end the slaughter. So, accompanied by the best shots in the Bellegeran army, Bifalt battles his way to within range of where the Amikan Magisters hide…and is killed by lightning. Except he doesn’t die, and as he falls into darkness a voice in his head demands Are you ready? Two years later, Belleger is in deep trouble. Manufacturing the rifles requires magic, and suddenly, for no discernible reason, all of its Magisters have lost theirs. Convinced the deed was done by the Amikans, Bifalt swallows his hatred of magic and undertakes a journey into the wilderness in search of a book that will allegedly allow the Bellegerans to do the same. Bifalt is a soldier. It’s all he’s ever known how to be and do. Defending his father’s kingdom and his people is his life’s work. And, like many people with specialized training, he is hard-pressed to deal with anything that can’t be addressed by force of arms. His view of what’s acceptable is narrow and full of suspicion; he is full of outrage that his people are dying and teeters on the brink of murder every moment. And, of course, he hates magic to the depths of his soul. So, then, not perhaps the ideal candidate to send on a quest for a book of magic, but doing his duty is a natural to Bifalt as breathing. And as he confronts not just new terrain but an entire world he really had no idea existed, given Belleger’s total isolation by geography and constant warfare, his concept of reality is, step by step, severely challenged. It isn’t often I enjoy a book so much I can hardly wait for the sequel. The Seventh Decimate is one such book, and I am praying Mr. Donaldson won’t take as long to provide that sequel as George R. R. Martin does. I’m no longer young, and I really, really want to know how this tale ends. 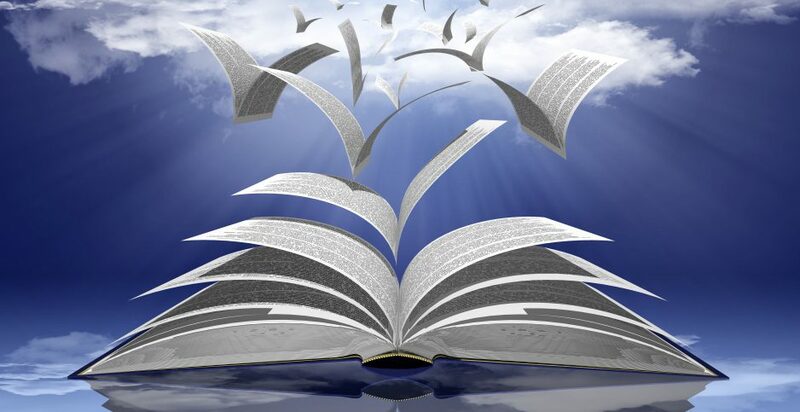 As with the Covenant books, his protagonist isn’t all that likeable, and there are times when the reader has the desire to knock him upside the head for being altogether too dense for his own good. That, of course, it what makes this novel work. Even if one doesn’t like Bifalt, one has to admire him for what he is—devoted, honorable, dedicated to the welfare of his people and willing to do anything, including die, to achieve it. He’s not the least bit noble, which is refreshing given how tiresome noble people can be. He’s a man who does his job well when he can and to the best of his ability when he can’t. There is much to admire in that. 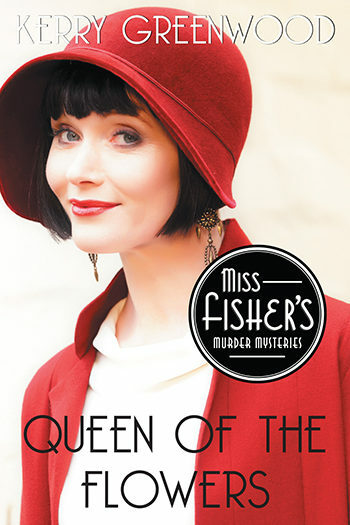 Like a lot of readers in the U. S., I suspect, I first made the acquaintance of the Honorable Miss Phrynne Fisher by way of the Australian TV series The Miss Fisher Mysteries. It was with great delight, then, that I was able to get a copy of #14 in the book series from Poisoned Pen Press. I can now say without reservation the books are even better than the TV series, and the TV series is wonderful. I mean, really. How can you not expect great things from a book the opening sentence of which is “The elephant was the last straw.”? 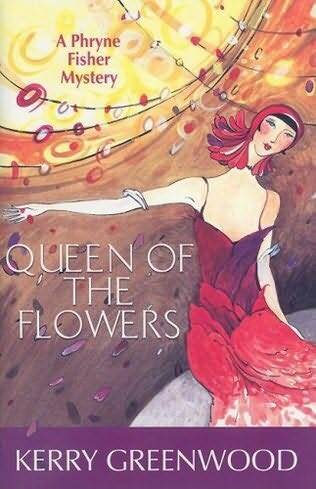 Miss Phrynne has been selected as the eponymous Queen of the Flowers in conjunction with the city’s annual Flower Parade. Simple enough? Right? Not. Recall who we’re talking about. Nothing in which Miss Phrynne becomes involved is ever simple, and this seemingly innocuous event ends up leading to all kinds of nefarious doings. Even so, underneath the sometimes frenetic adventures runs a serious theme that, sadly, applies to the 21st century as much as to the second decade of the 20th. I could go on and on about the ongoing characters (all wonderfully individual when they could so easily have been placeholders) and the labyrinthine plot (because in reality nothing is ever as simple as too many mysteries make it seem). I can’t compare this latest addition to the earlier books because I haven’t read them yet. So, I’ll just finish by saying if you’ve seen the TV series, you really need to read the books, because this is one of those rare times when even the adjustments necessary for adaptation haven’t ruined the spirit of the original. If you’ve read the previous books but haven’t gotten to this one yet, you’ll love it because it’s Miss Phrynne at her very best. And if you’ve done neither—well, for heaven’s sake, why are you just sitting there? Get on with it. These days, as the corporate media and, sadly, a fair share of the independent media are behaving as if the allegations of Russian state interference in the 2016 presidential elections are established fact (they aren’t), suggesting otherwise can earn the lone voice in the propaganda wilderness the label of Trump follower, Russian stooge, conspiracy nut or all of the above. I have literally had people who are shocked that I refuse to accept the word of that great patriotic organization the Central Intelligence Agency. I was already aware of the CIA’s dirty fingers stirring the literary pot, not to mention journalism, film and TV. What this well-researched history provides is an in-depth review of one aspect of their meddling—their support in the creation of The Paris Review and its sister publications worldwide under the aegis of an agency front called the Congress for Cultural Freedom. They recruited George Plimpton and Peter Matthiessen, among others, to head the editorial board, guided by investment counselor and dedicated CIA good buddy John Train. The goal of the Paris Review and its ilk wasn’t overt propaganda. Rather, the idea was to offer carefully selected material that would (a) promote “the American way of life” and (b) do as much as possible to put the Soviet Union in a bad light. In other words, applying standard propaganda procedures in a literary, cultured way. What follows Mr. Whitney’s description of the Review’s birth is a history of how the CIA manipulated such writers as Ernest Hemingway and Gabriel Garcia Márquez in the name of anti-Communism. In time, it expanded into Operation Mockingbird, during which at least one CIA operative may have been placed in all the country’s major newsrooms. Similar operatives worked to undermine the anti-establishment press in the 1960s and 1970s. So, perhaps those of us who are no longer buying what the CIA et al. are selling will be forgiven if we don’t embrace without question the “news” involving the current incarnation of the anti-establishment press. Doubly so, given the news organ that essentially launched it is owned by a man who received a $600 million contract with the CIA not long after he purchased The Washington Post. A relationship, one notes, that is never mentioned in those “Russia did it!” articles. There is a belief among us in the United States that the CIA was, until last year, prohibited from acting within the country’s boundaries. Mr. Whitney, however, notes that in fact the act of Congress that established the CIA never actually put that prohibition in writing. It was nothing more than a “gentlemen’s agreement.” Of course, anyone able to apply the term “gentlemen” to the CIA is in serious need of therapy. Another myth dispelled in these pages is the accepted history that Osama bin Laden and Al-Qaeda evolved from the mujahideen armed and trained by the CIA during the Reagan administration to combat the Russian invasion of Afghanistan. In point of fact, Mr. Whitney reveals, there was a CIA-sponsored cell of “academics” in the country at least by the mid-1960s. Once one accepts the premise that anything we see or hear in the media or on our screens may have as its underlying agenda the propagation of the message the government—or whichever agency feels the need to tweak the national mindset—wants us to embrace, it’s all but impossible not to see how the sausage is made. Indeed, sometimes, as with the CBS-TV series Salvation, the presentation is so ham-handed any decent writer would refuse to have their name attached. If you’re tired of being lied to, if you’re exhausted by the stress of being told there are enemies from all over the globe lurking in the shadows ready to pounce, I recommend you read this book. It can be a bit of a slog now and then, as the continuity of the narrative jumps back and forth, and there’s a bit more repetition of the material than necessary. Also, it won’t help much with the stress, but at least you’ll be looking at the right enemy.